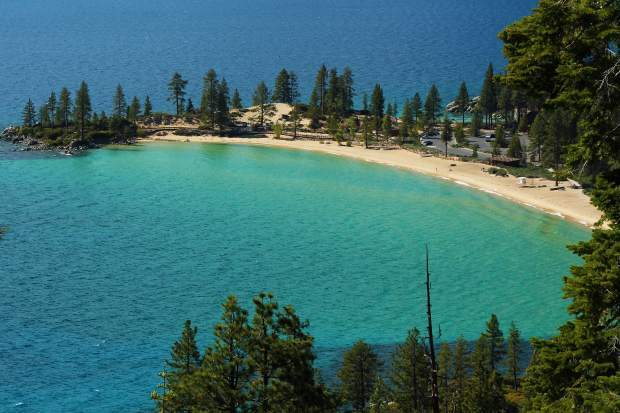 South Lake Tahoe, a world class destination for people around the world is not only known for some of the best skiing in the world, but has an amazing variety of beaches for everyone to enjoy in the summer. No matter what your beach going desires are, the many options around South Lake Tahoe offer breath taking vies, plenty of sun and pure relaxation. Planning to spend the day with your four legged friends? 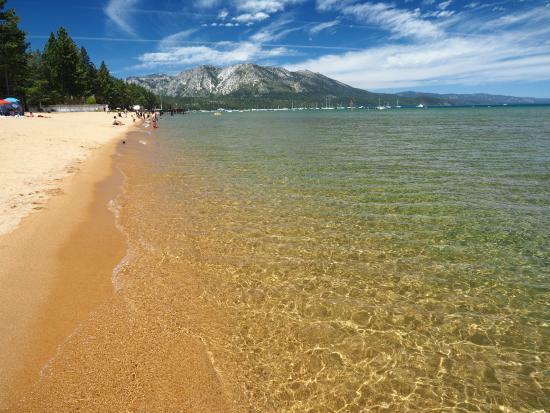 Then look no further than Kiva beach in South Lake Tahoe. One of the only beaches that allow dogs, Kiva Beach located off hwy 89 has a beach dedicated to dogs and their owners. Parking is free and you and your dog can romp in the sand in water. Looking to get out of South Shore for the day and travel to somewhere quiet and beautiful? Then head on over to Sand Harbor, a must see beach on the east side of the lake. Being one of the very few sandy beaches on the East Shore of Tahoe, it is only fitting that the sand here is so soft and white it will make you think you are on a tropical island. Pope Beach, perfect for families and big groups who want to spend the day. Plentiful all day parking and easy access to your vehicle allows total flexibility and the option to come and go from the beach as you please. Pic-nic tables, benches and barbecues make for a fun and easy day at the beach. For the paddle boarders, jet skiers, ultimate Frisbee players and action lovers, Zephyr Cove is your playground. 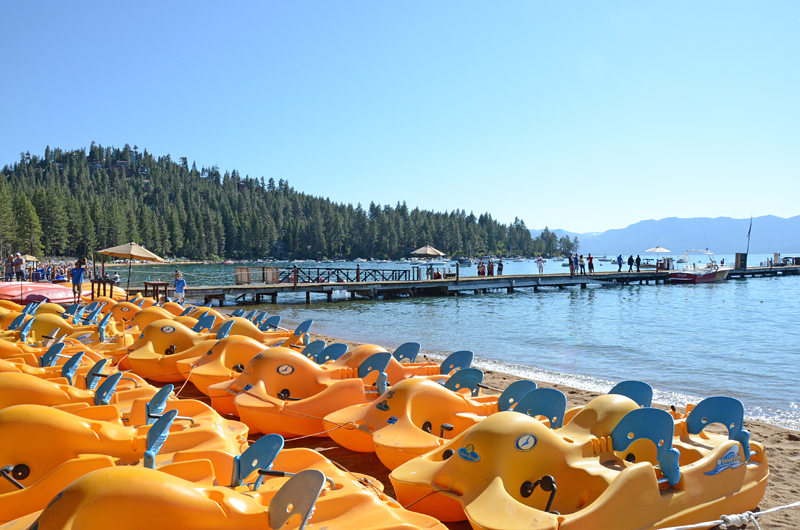 On the Nevada side of South Lake Tahoe, you can crack a beer or participate in the many activities happening on the beach. Boat and other watercraft rentals are available for public rental. Zephyr cove has it all! 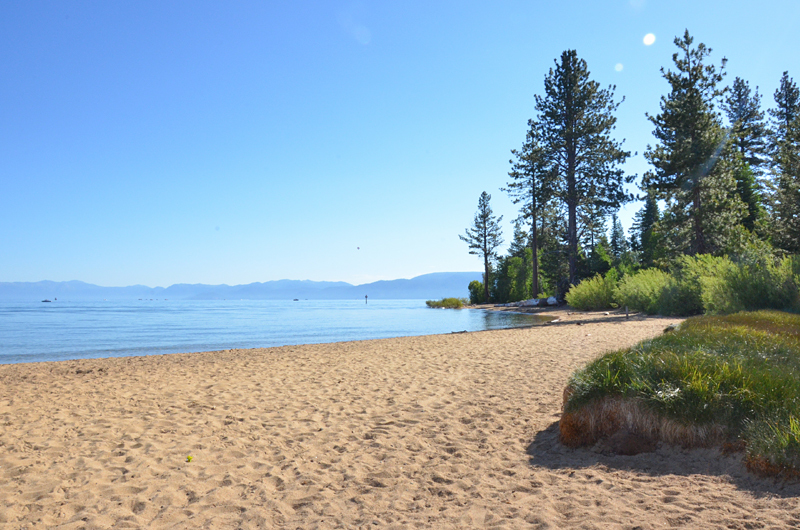 Design Your Own Beach in South Lake Tahoe!